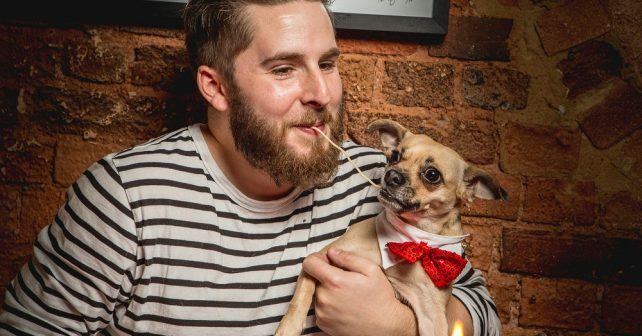 Spend Valentine’s At This Dog Friendly Lady & The Tramp night! Dog-lovers, have we got the perfect Valentine’s night for you! Had enough of flaky, two-legged Tinderellas? Spend it with your adorably reliable four-legged friend. This year, Shoreditch basement bar, the Book Club is being transformed into Tony’s Town Square Restaurant from the wonderful Disney classic, Lady And The Tramp. What makes it extra quirky is not only is there a special dog-friendly screening, but everything is geared up to ensure your pooch has an equally special Valentine’s night! For you, there’s romance: candles on checked tablecloths, chefs in white, spaghetti and meatballs plus an accordion player. For your four-legged friend: a FREE bottle of canine wine CharDOGnay and meatball treats. February 14th, 7.30pm Lady and the Tramp Valentine’s Screening – Dog Friendly! The Book Club, 100 Leonard St, EC2.